Whenever we go on a family trip such as a picnic beside the lake, or set sail on a small boat, we often think of bringing our fishing rods with us. 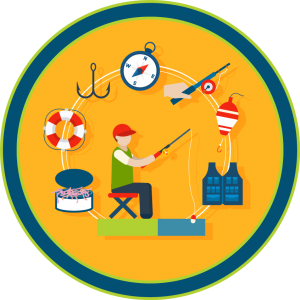 After all, besides enjoying the beauty of nature around us, we may also want to try our luck on the wonderful sport known as fishing. Why you might ask? Well, it is one of the best ways to relax and bond with your loved ones. It is especially known to bring fathers and sons all around the world closer. The sport itself has gained cultural significance in many countries due to this reason. Now, fishing may seem easy, but it is far from it. Having a good rod only solves part of the problem. You might want to look for some aftermarket fishing reel as well, as the stock fishing reels that your fishing rod comes with aren’t always very effective. Shimano Calcutta CT700B is a very good option in this regard, as it comes with some unique features that can enhance your fishing experience. 1. The size of the fishing reel is big. Compared to other models in the Shimano Calcutta series, the 700B is quite big in terms of size. Baitcasting reels usually don’t get any bigger than this, so if you prefer big reels, this is perfect for you. 2. Reeling System is good. Shimano Calcutta houses a very good star direct system for reeling, which is able to put out a maximum of 16 pounds of drag. 3. The material used on the reel is high-end. The body of the fishing reel is made from Aluminum and comes with a Windham side plate. This gives the fishing reel a premium feel which might be to most users liking. 4. Disassembly of the body is easy. The fishing reel can be taken apart quite easily just by unscrewing 3 screws at the top. After unscrewing, the whole side plate is bound to come off easily. 5. Good level line system. The level line system present in the fishing reel is really nice and holds up quite well. In fact, this feature extends to all Shimano Calcutta models. As long as you clean and maintain the fishing reel properly, it will hold up for a long time. You do not have to worry about getting another reel anytime soon. 7. Oversized power-handle to enhance comfort. The power-handle of Shimano Calcutta 700B is rubberized and big in size, making it very comfortable to use. This feature is only present in this model, and not in any of the other Shimano Calcutta models. 8. It is designed to hold a long braid. You will be able to hold 375 yards of 65-pound braid on this fishing reel. Therefore, the Shimano Calcutta 700B is perfect for those users who are in the market for a bigger reel that can hold a long line. 9. The switches and clickers work smoothly. The different switches and clickers designed on the fishing reel are not tight. They are quite free and pleasant to use. The spool feels nice and free as well. The switch is also very smooth and easy to use, and it is positioned in a way so that you can use it with your thumb. 1o. The fishing reel is very durable. Shimano is always dedicated to making high-quality products to keep their reputation intact. So, it is not surprising at all why the Shimano Calcutta 700B has been built to last. The fishing reel is strong and durable and can withstand extreme environmental conditions. 11. Multi-disc carbon drag system improves performance. The newer revisions of the Shimano Calcutta 700B comes with multi-disc carbon drag system which aids in terms of providing even distribution of heat in the drag. This causes extremely high drag pressures when required. 12. The fishing reel is suitable for salt-water fishing as well. Apart from freshwater fishing, the design of the fishing reel makes it suitable for saltwater fishing as well. Shimano Calcutta 700B can take a huge amount of punishment which saltwater is often known to exert. It is durable and has great longevity compared to other fishing reels. The body is made from high-end materials such as aluminum making it light. The bearings of the fishing reel are not unlikely to rust easily. Comes with Ultra-smooth Dartanium Drags. Suitable for users who want the long line. The body can be disassembled easily. The oversized Septon Handle grips are very comfortable to use. You have to flip the switch every time to gauge. Some customers complained about thumb bar disconnecting after casting a few times. Some customers complain about Shimano’s customer service. Q: What is the maximum capacity of the braid at 50 Lb. power? The Shimano Calcutta CT700B has a maximum capacity to hold 620 yards at 50 Lb. power. Q: Can you tell us the number of bearings the reel has? 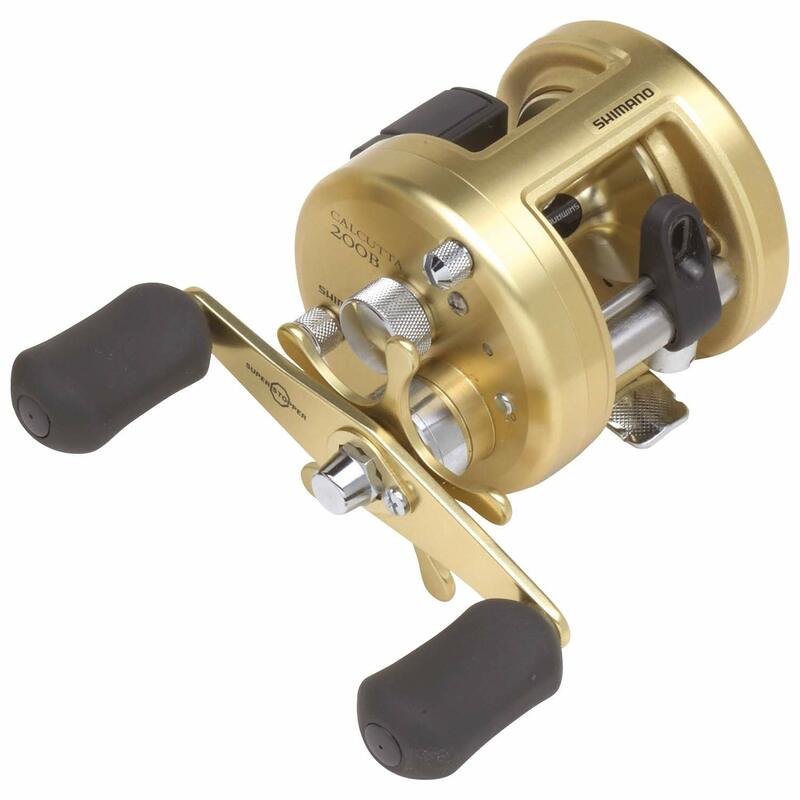 The fishing reel comes with 3 A-RB ball bearings and 1 A-RB roller bearing. Q: Is the fishing reel left handed or right handed? The Shimano CT700B is designed for right-handed use. If you are looking for a reel to use with your left hand, you would be better off with 201B model reel. Q: Does the reel come with a bait clicker? If it does, then can you please tell me if it’s loud? Yes, the Shimano CT700B has a bait clicker on it. It may not be extremely loud, but it is quite sensitive and audible. You should face no problem understanding. The Shimano Calcutta CT700B is packed with useful features. Its durability and longevity are outstanding, and it has a very premium feel to it. Since the body is made from forged aluminum, it feels very light to use. The Dartanium drags on it make reeling fishes less of a hassle, and the reel is suitable for saltwater fishing as well, which can be particularly tough. Shimano’s has a good reputation for manufacturing products of amazing quality, and the Calcutta 700B fishing reel is a shining example.